In a rare move for an XBLA title, Twisted Pixel Games is giving away free beta access to their latest work in progress, Ms. 'Splosion Man. As a quick refresher, Ms. 'Splosion Man is a 2d side scroller, and direct sequel to the popular 2009 XBLA game, 'Splosion Man. Beta access will be given on a first come first served basis. 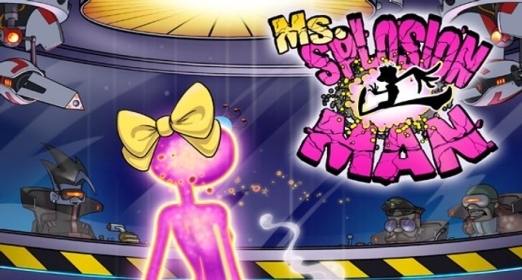 To register for the beta of Ms. 'Splosion Man follow the hyperlink. The registration window will be from yesterday, May 24, to June 12. The official blog post said that they will accept roughly 10,000 applicants to the beta access. The main goal of this semi open beta is to test the online functionality of the game. Twisted Pixel Games will give players two multiplayer levels each week. The beta is slated to last from June 6 to June 24. The game is set for a Q3 release this year, so the game may only need a few more finishing touches before it's ready for final release. Update: Sign ups for the Ms. 'Splosion Man early access beta are now closed. Sony's 2011 first-party line-up looks absolutely superb. Among these excellent exclusive AAA titles is Naughty Dog's Uncharted 3. With anticipation running high for the third installment of this amazing franchise, which launches on November 1st, gamers have been itching to get their feet wet with a bit of multiplayer action. Well itch no more gamers -- Naughty Dog officially announced on Monday that Uncharted 3's multiplayer beta is set to kick off on June 28th. It's unclear at this point what maps and modes will be available during the beta, but what we do know is that the beta will be open to everyone -- on a first come first serve basis of course. Additionally early access will be granted to those who bear a Playstation Plus membership or a voucher code found in specially marked cases of Infamous 2, which plants itself on store shelves June 7th. We will provide updated information on the beta as soon as it becomes available. Stay tuned! Zipper Interactive's SOCOM 4: U.S. Navy Seals is highly anticipated by tactical strategy gamers and action gamers alike. It's one of the biggest games exclusive to the Playstation 3 in 2011. So, with your anticipation so high, why not get a fix for SOCOM by joining the multiplayer beta? Don't know how? No worries, we've got you covered with this extensive rundown of dates and details to give you the most for you SOCOM addiction. Invite Only (Private) - 3/15 - 3/21 -- This beta requires a private code from Zipper Interactive themselves, however if you wanna be a cook kid, you could score one for yourself via SOCOM's official forums, Twitter Acoount, or Facebook Page, as they will occasionally be giving them out throughout the entire beta. In 2008, Maxis came out with the revolutionary game Spore. Maxis did so many things right on their massively single player simulation game. Darkspore is loosely based on the first game, and fans of the original should not expect a similar experience in the sequel. 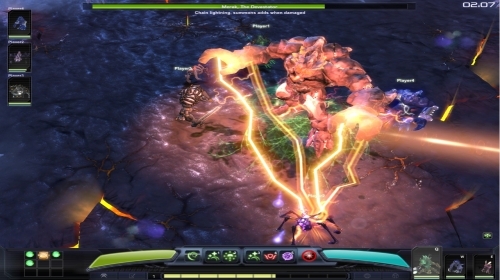 Darkspore, which is set to release March 29, is a "a fast-paced, sci-fi Action-RPG." In Darkspore you lead a squad of "living weapons." These creatures were created by the Crogenitors, an advanced race who experimented with DNA. Crogenitor Zelem discovered E-DNA, capable of millennia of evolution in a matter of hours. This E-DNA was unstable and spread rapidly across the galaxy creating the Darkspore. The Darkspore began killing the crogenitors. Eventually all but a few of the Crogenitors are killed. Those remaining few froze the "living weapons" so that they could later defeat the Darkspore. Sucker Punch's forthcoming title Infamous 2 has a beta set for April 12th. If you're jonesing to get in on the action and you reside in the U.S., all you have to do is head over to www.infamousthegame.com. Once there you can direct yourself to sign-up registration. March 21st marks the end of the sign-up period. Winners will be chosen at random and emailed shortly there after. As a note for gamers outside the U.S., no worries, Sucker Punch has promised other territories their own betas as well. The interesting thing about this beta, however, is that it will be centered around mission creation. And such a creative task will be quite rewarding. Sucker Punch will chose the best created content to spotlight front and center when Infamous 2 launches stateside on June 7th. Good luck, gamers!